Education is considered to be the backbone of a nation. That’s why everybody should be properly educated and in order to do that, learners and teachers both should be aware of their own responsibilities. Teachers play vital roles in the learning of the students in their classrooms and outside also; a teacher is a friend, a mentor and a facilitator. Teachers are not only to teach, but also to love and take care of their students, and teachers should share their enthusiasm with students so that students can pay more attention towards learning. Learning is like a chain. 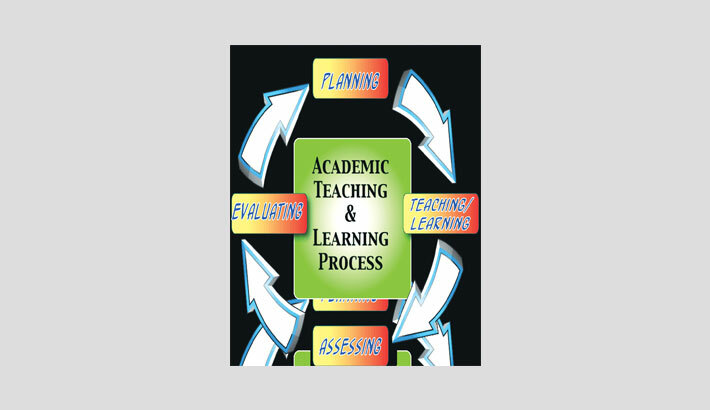 Each lesson and studying time is linked to the chain so students should finish lesson on time. Not everyone learns the same way so learners must understand what kind of learner they are: are they visual, aural, kinesthetic? A good learner should concentrate on what he is learning both inside and outside the classrooms. The importance of education has grown vastly all around the world and Education system has changed over the years. Then learning was teacher centered in classroom; teacher was a transmitter of knowledge, students were spoon-fed, students competed with one another, students wanted to have their own say, learning was specific subject based that means students were learning only from books. But now learning is learner centered in classroom, now a teacher is a co-learner, students are collaborating in their learning, students are taking responsibilities for their own learning, students actively listen to the opinions of others and now alongside books, students are learning about holistic education which is a relatively new movement began in the mid-1980s in North America. It is a philosophy of education based on the premise that each person finds identity, meaning, and purpose in life through connections to the community, to the natural world, and to humanitarian values such as compassion and peace. Old methodologies of learning that I mentioned earlier still are being used in most of the institutions in Bangladesh and many students are not taking responsibilities for their own learning. Nowadays, students commonly do not want to open their textbooks. They prefer guidebooks over textbooks; for English for today book, guidebooks are really helpful because students can learn meaning of different words. But students are becoming dependent on guidebooks, if they study their textbook line by line they will understand the lesson easily and they will get benefit in multiple choice question. NCTB has some purposes to achieve many goals through teaching the contents of the textbooks and if students follow guidebooks more than textbooks then objective of the curriculum won’t be successful. Sometimes we notice some teachers take creative questions from guidebooks for schools’ exam, maybe they are not well trained or they do not want to work harder. Still in Bangladesh plenty of teachers and students are unwilling to carry out their responsibilities properly. A good teacher should be well trained, co-operative and he/she should not judge students by their appearance. Teacher should be trained at Teachers’ Training Colleges because in my opinion Teachers’ Training Colleges have got the best trainers. SDG titled ‘Transforming our world: The 2030 Agenda for Sustainable Development’ and SDG’s goal SDG 4 is ‘Ensure inclusive and equitable education and promote lifelong learning opportunities for all’. To implement SDG 4, The Ministry of Education of Bangladesh decided in a meeting that B.Ed degree is compulsory for all teachers of secondary level. Teachers should know their roles, institution’s curriculum, knowledge about the subject that they teach and they should have classroom management skills. A teacher should include all the students in curricular and co-curricular activities in order to achieve the SDG goals. Students should also be aware of their roles. Time management is really important for a student, a student will have to respect teachers, and they should be attentive and take part in all curricular and co-curricular activities. Students should co-operate each other and co-operate the teacher so that teaching learning activities can run smoothly. At last, Learners should be attentive and prepared to study harder and they should also focus on the purposes of life, connections with family, friends and humanitarian values. And teachers should turn a classroom into an enthusiastic and encouraging place for learning. Then learners will enjoy the teaching and learning and cope with the environment of classrooms.